of up to 50% off throughout the whole shop! Now through January 31st 2019! Please Come Visit Us For An Uplifting Shopping Experience! Established in 1965, we are a family-run business. Stuart, Mitchell, Christina or Rebecca Attenson will be happy to see you when you visit our store! 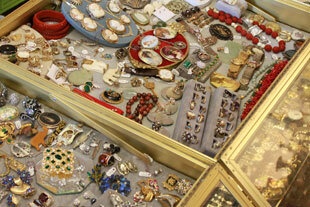 Come Here to Delight your Senses & View a Thousand and One Objects of Beauty, History & Mystery! 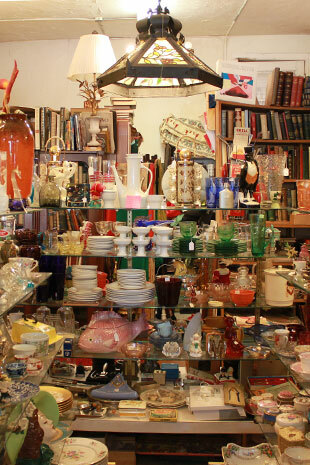 Each family member brings their own area of interest to the business, making for one of Cleveland's most diverse selections of antiques, art, prints, jewelry, vintage clothing, furniture, modernism, books & collectibles under one roof! You can come and browse through our two storefronts & 4 show rooms, approximately 2400 square feet, for hours. We are located 15 minutes E. of downtown in the exciting Coventry Village neighborhood, less than 10 minutes away from 8 other antique shops, Little Italy, Cleveland Clinic, University Hospitals, CASE, The Cleveland Museum of Art, Shaker Square, Larchmere, and Mayfield/Lee. We also have more than 15 restaurants on the street for your culinary pleasure.